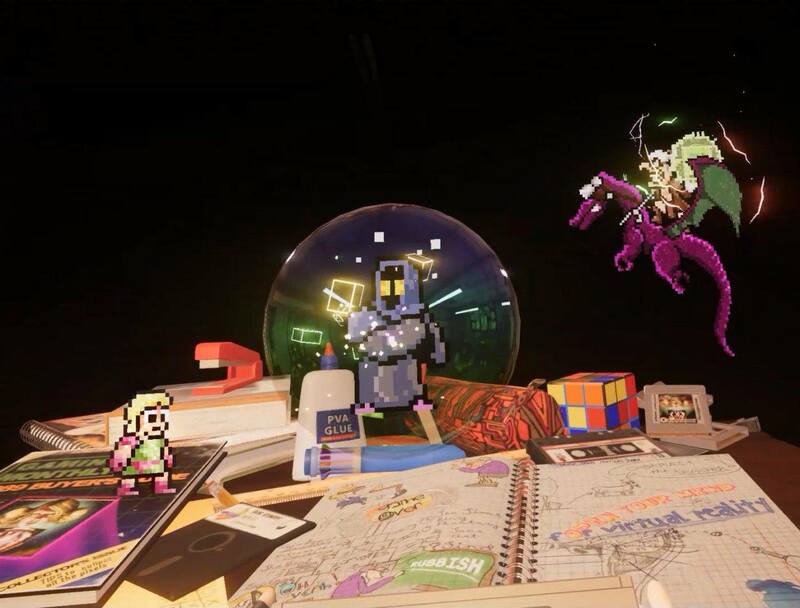 Pixel Ripped 1989 is a unique virtual reality game that pays homage to classic video games while formulating fun gameplay of its own. 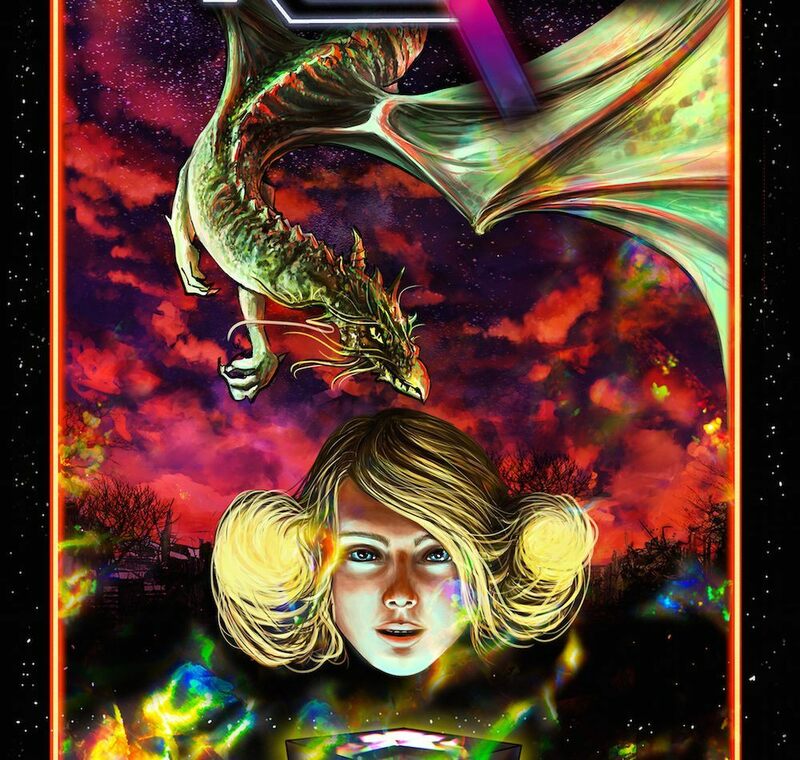 The game is developed by indie studio Pixel Ripped Inc and ARVORE Immersive Games. 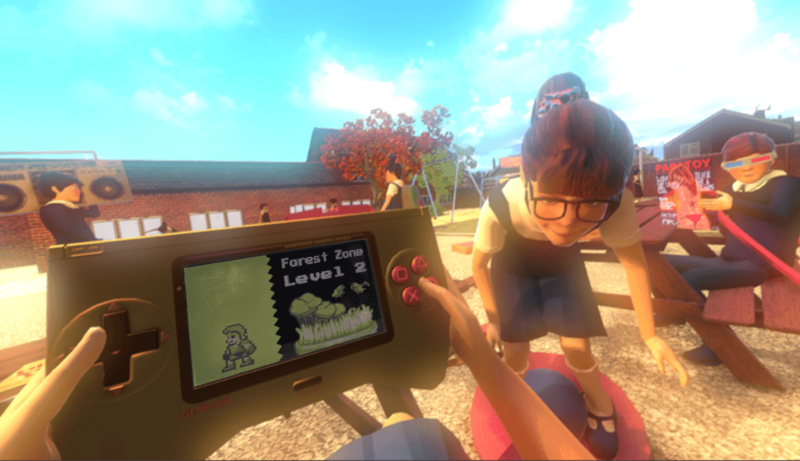 The setup is short and sweet; you play as a young girl in elementary school trying to play her handheld game system without getting caught by the teacher. 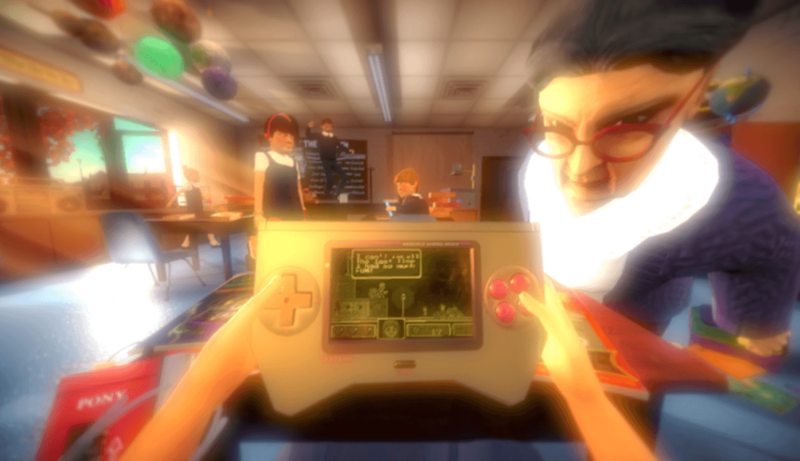 You can use a nearby spitball powerup to distract the teacher, occasionally transporting you to different realities. However, the main objective is always the same. You’ll want to complete the level on your handheld device without getting caught, and eventually progress to the next stage. 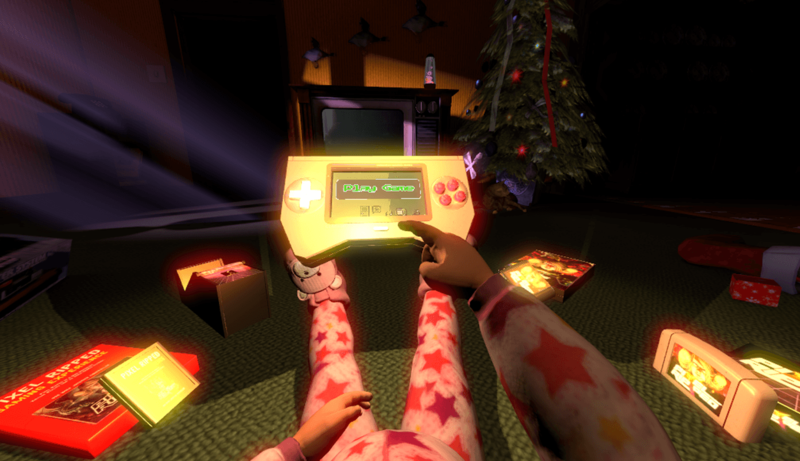 Although this is a seemingly simplistic setup, Pixel Ripped 1989 does some wildly inventive things within the formula. 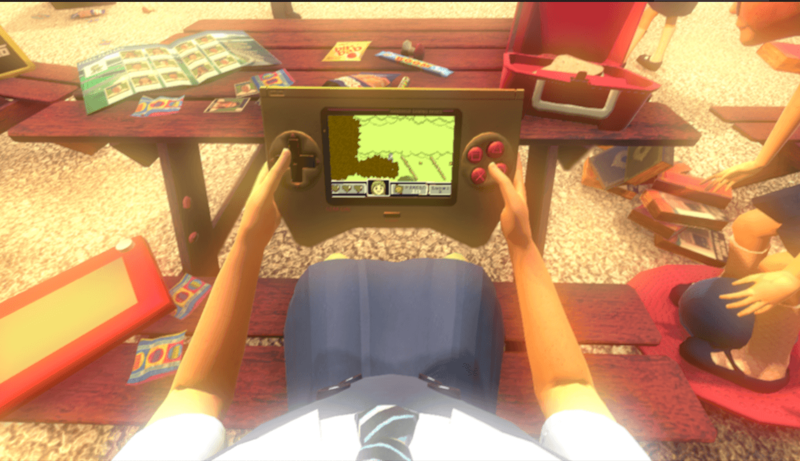 There are tons of references and callbacks to classic arcade and retro games, and the game within Pixel Ripped 1989 is an excellent culmination of retro gaming. 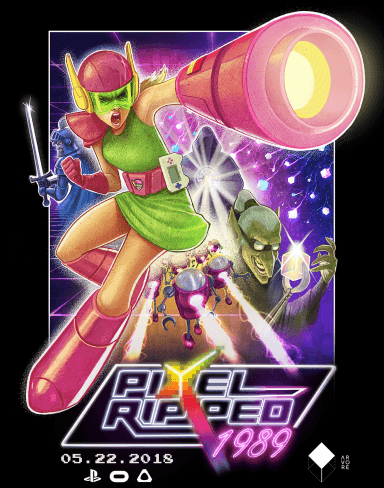 You’ll have to possess some impressive gaming skill to make it through the game, but for those who have the chops to complete it, Pixel Ripped 1989 might just become your favorite VR game. The story of Pixel Ripped 1989 is actually a dual story. One on hand, you have the young girl playing her handheld in a variety of levels. However, you also get to meet the video game characters themselves and encounter them when they cross into the real world. The biggest threat is the Cyblin Lord, an evil boss that has broken out of his game and is affecting reality and corrupting other games. Through a series of interesting and unique levels, you’ll help this group of characters overtake the Cyblin Lord and reclaim their games. Thankfully, Pixel Ripped 1989 does a great job of making these two storylines weave together. You’ll never get too confused about what’s going on, as the entire game has a humorous and jovial tone to it. 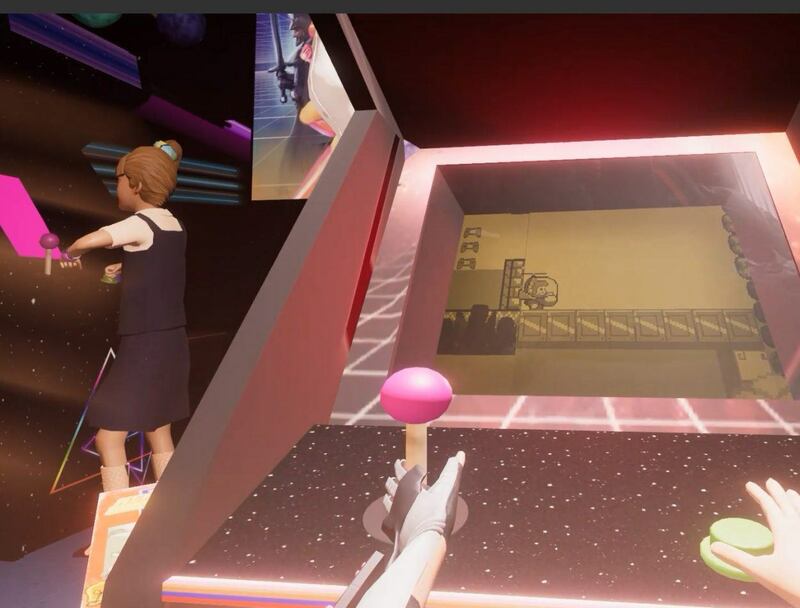 The point of Pixel Ripped 1989 is not to confuse you, but rather allow you to bask in the glory of the by-gone era of arcades. 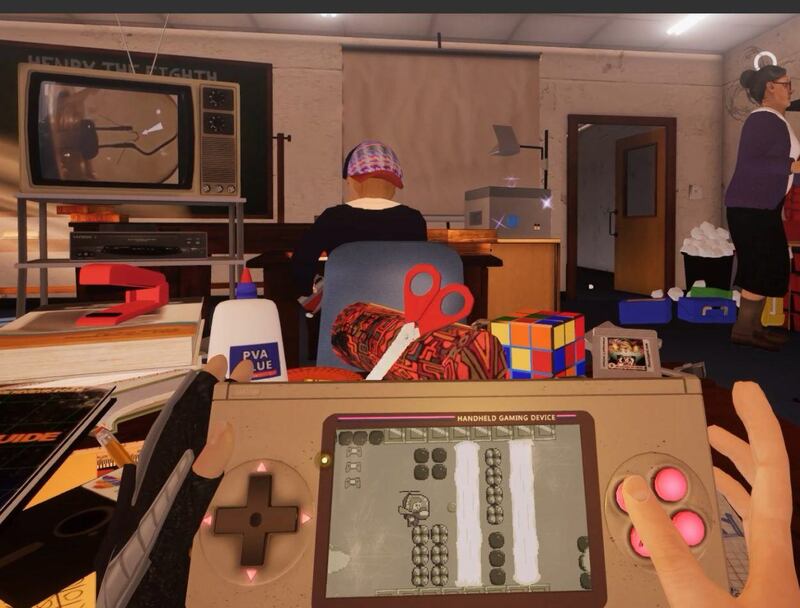 If Pixel Ripped 1989 was only the classroom level, where you hide your game from your teacher, I would’ve been greatly disappointed. However, the game contains four completely different levels, with each one managing to produce a new gameplay experience. After you complete the class level, you’ll find yourself outside during lunch. During this level, the giant boss peaks his head over the school and unleashing his army of birds. As the birds swoop down and kidnap your friends, you must use your handheld gaming device like a sort of blaster gun. Think of it like a really retro version of augmented reality, and you have a pretty good idea of what to expect. Later on, you might find yourself attempting a speeder-bike segment that seems directly lifted from Battletoads. You’ll notice Pac-Man graffiti, sound bytes from other popular games, and a general appreciation for the craft. However, Pixel Ripped 1989 is at its best when it fuses these two worlds together. A few stages will have you controlling pixelated characters in a “real life” area. For example, one boss fight might have you bouncing around the Principal’s Office with you pixelated friend. Overall, there are tons of fun sequences and plenty of unlockable content. Each level contains a handful of secret cartridge collectibles, and when obtained, they offer new content and new ways to play. At first blush, Pixel Ripped 1989 might seem like a low budget cash-in on 80’s and 90’s nostalgia. While it definitely uses nostalgia as a way to keep players interested, Pixel Ripped 1989 is much more than a cheap cash-in. Simply put, Pixel Ripped 1989 is a very special and very unique virtual reality game. It manages to give us a good taste of nostalgia while not feeling cheap, and establishes plenty of fun ideas of its own. There are some really fun sequences that are only possible in VR (Imagine getting sucked into a massive Gameboy), and overall it is a great experience, despite its short length. The only real complaint with the game is the final boss, which can be incredibly frustrating due to the excessive amount of knockback you take from enemy players. Overall Pixel Ripped 1989 is an absolutely fantastic VR experience and we highly recommend you pick it up. Congrats to @HighStefanition for winning the #PixelRipped 1989 #PSVR code. Direct message @catwithmonocle for your code! Ep. #226 Prototyping VR while lucid dreaming and much more! ft. @Anagamedev creator of @pixelripped ! -Ana's feedback and iteration process. As you can see @AnaGameDev has been turning the entire development team into custom DOT characters! 🤣 Which version is most like you? 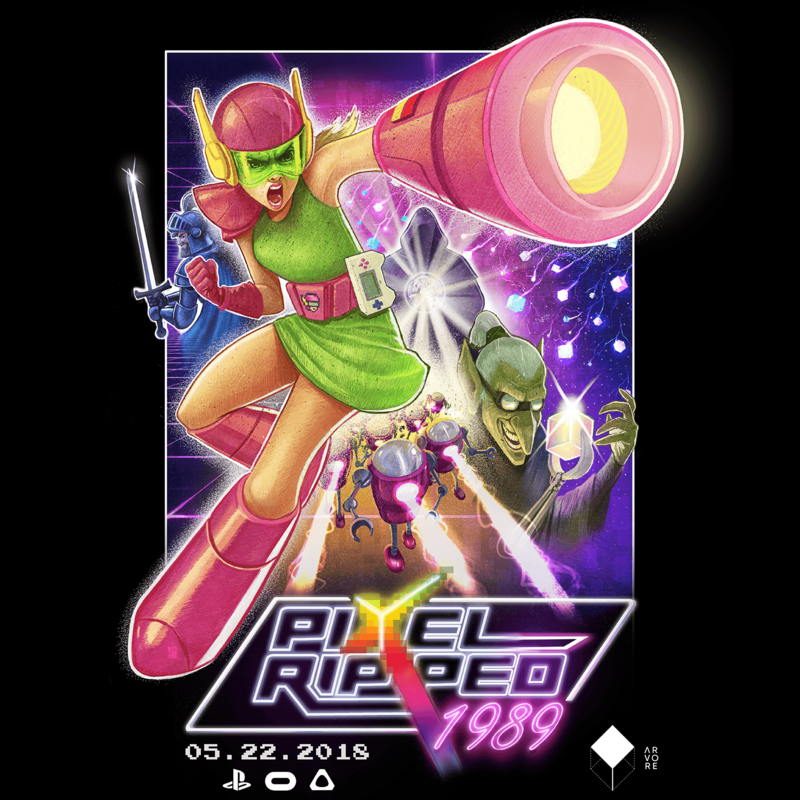 Pixel Ripped 1989™ and all its contents are a property of ARVORE IMMERSIVE EXPERIENCES, LLC.